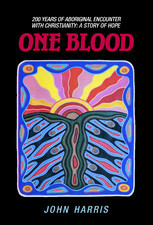 John Harris, One Blood: 200 Years of Aboriginal Encounter with Christianity (Sutherland: Albatross, 1990). Holding Australia Day on January 26 – the day the first invasion fleet of British ships landed on the Australian continent – reinforces the fact that, collectively, Australian’s couldn’t give a rat’s arse about their country’s past or how they came to own this “golden soil” and “nature’s gifts of beauty rich and rare.” Most people remember the first verse of the national anthem, but ignoring that “for those who’ve come across the seas we’ve boundless plains to share” takes a powerful effort of collective amnesia. It is pretty hard to celebrate a community that locks up and turns away strangers in need, that destroys its natural environment at a mind-boggling rate, that feels entitled to a higher standard of living than almost any other country on earth, and that is dismantling its healthcare, education, and pension systems as fast as is politically expedient. For the Australian church, which must identify itself with the sins of the nation while standing in solidarity with those who are most hurt by its actions, this is a particularly painful day. Like the woman whose guilt was publicized by religious leaders to further their personal feud with Jesus, the Australian church stands in shame at what it has done and at what it has left undone. John Harris’ book One Blood (1990) does a superb job of telling the story of the church’s involvement in what was undoubtedly the bloodiest crime ever committed on this continent. In Tim Costello’s words, this is a book that “every Australian Christian should read.” Harris grew up in Aboriginal communities and knows much of what he writes about firsthand. But this book is a meticulously documented, dispassionate history of Christian missions in Australia, “warts and all,” not a personal recollection or sermonizing polemic. In just under 1,000 pages, Harris unpacks the victories and the mistakes of Christian missionaries as they tried to bring the gospel to the Aboriginal people. The conceit in the title refers to a recurrent theme in missionary sermons and correspondence that God “made of one blood all nations of men for to dwell on all the face of the earth” (Acts 17:26, KJV). 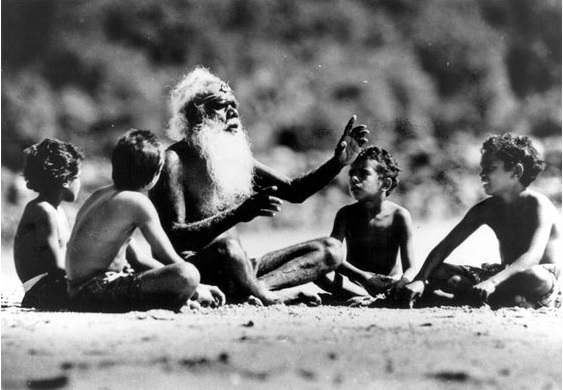 Aborigines were of “one blood” with the English, these missionaries insisted against the popular view that they were animals or degenerate humans, and therefore they deserved to hear the gospel and to be treated as human beings. Harris tells of missionaries who sacrificed their fortunes, their health, and their families to serve the Aboriginal people. They were often mocked by those around them and abandoned by their sponsors. Missionaries fought tooth and nail with settlers who treated Aboriginal woman as chattel and drove them off the land at the point of their rifles. But the missionaries were still people of their times. Instead of distinguishing between Christ and culture, they argued “over the order in which they should be instilled.” Missionaries in Sydney were devastated when their most promising converts took off their Western clothes and went walkabout because the missionaries “saw the acceptance of this European village type of life as proof of Christian faith.” Others like Samuel Marsden (1764-1838), who had been very successful with Australian Aborigines in New South Wales, proved to be brutal failures when they moved into the South Pacific. Missionaries also sometimes worked hand in hand with the authorities, such as George Robinson (1791-1866), who convinced the last few hundred Tasmanian aboriginals to come out of the bush and relocated them to Flinders Island, where most of them died from exposure and malnutrition. Harris describes the involvement of Christian missions in the Stolen Generations in great detail, and his story continues up to the CMS missions after the Second World War and the Pentecostal revivals led by Aboriginal evangelists in the Northern Territory. Harris doesn’t draw any moralizing conclusions from his story, but despite the ugliness of many of his accounts, this is a story of hope. Jesus leaves the adulterous woman with two messages: I do not condemn you; sin no more. The church is pure not because it has done no wrong but because Christ shed His blood to make it so. His grace opens up the possibility of new life. The church can offer hope to Australia only because it too has been forgiven much. 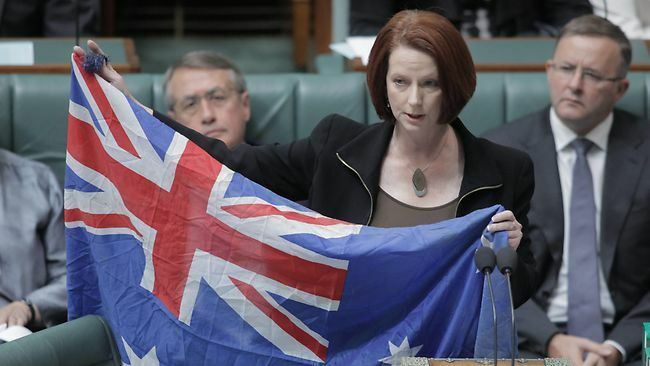 The challenge on Australia day is not only not to throw the first stone, but to go away and sin no more. Thanks! There are a lot of blogs with book reviews but nothing that I know of that does exactly the same stuff. Try searching wordpress for “Christian book reviews”.